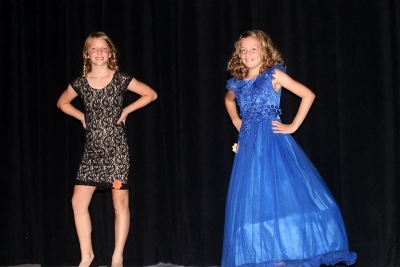 Pictured above are the participants of this year's Miss & Mr. Heritage Valley Pageant. 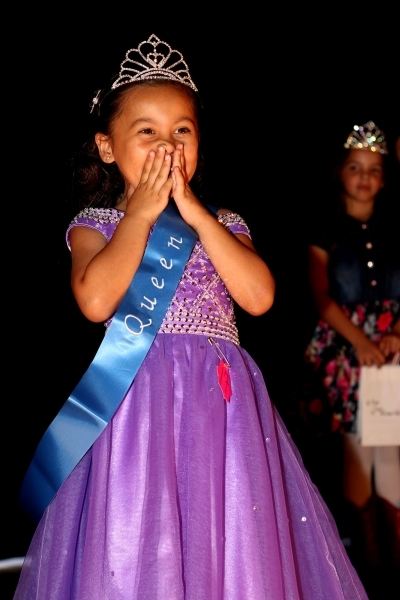 Photos courtesy Crystal Gurrola. 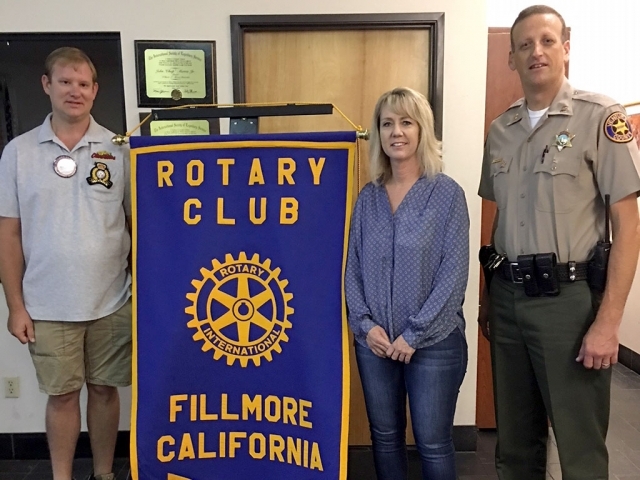 Pictured is Rotary Club President Andy Klittich and Rotarian Barbara Filkins. In honor of National Cyber Security Awareness Month in October, Filkins spoke about ideas on how to protect yourself from being a cyber victim. Photo courtesy Ari Larson. 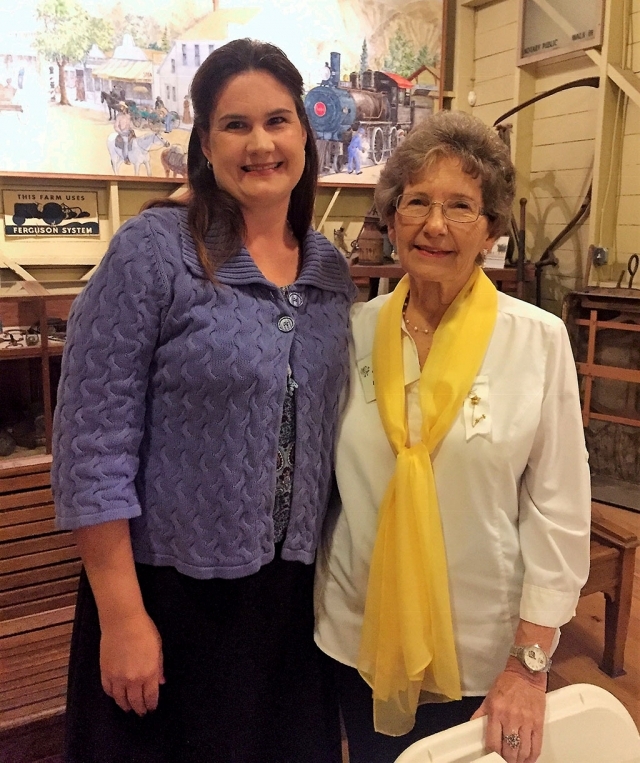 Pictured above is Alisa Mitchell (left) along with PEO Chapter GY President Mary Ford. On Monday, October 8th, Philanthropic Education Organization (PEO) Chapter GY, Fillmore, initiated Alisa Mitchell as its newest member. Alisa graduated from Fillmore High School and is a graduate of California Lutheran University and California State University, Channel Islands. She taught in Fillmore Schools for many years. Chapter GY is happy to welcome its newest member. Photo courtesy Sue Zeider. 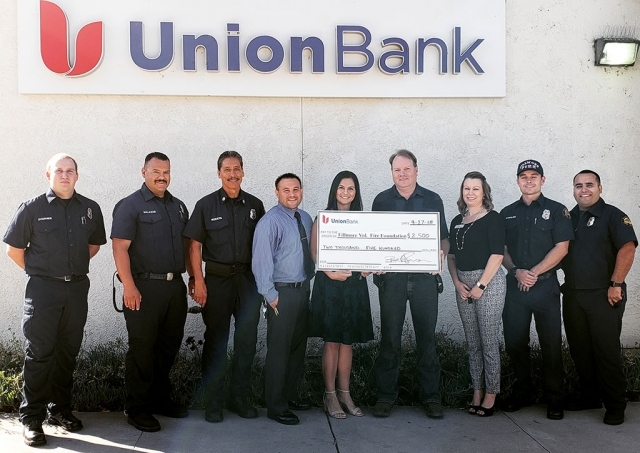 The Fillmore Fire Department would like to thank Union Bank for their generous donation of $2,500 to the Fillmore Fire Foundation. Photo courtesy Fillmore Fire Department. 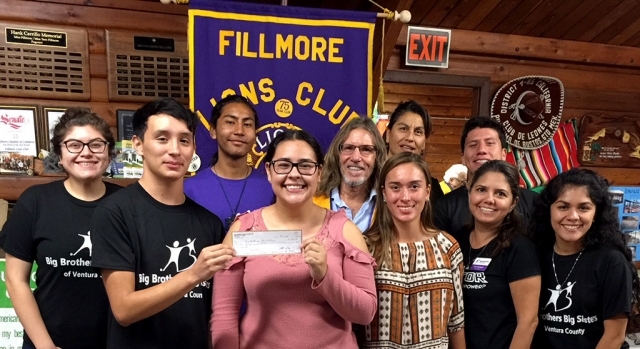 The Fillmore Lions Club has donated $500 to the Boys and Girls Club of the Santa Clara Valley. The Boys & Girls Club was founded in 1949 and it provides daily access to safe, supervised activities which foster children to become productive, responsible and caring citizens. There are 10 sites serving the cities of Santa Paula, Fillmore and the unincorporated area of Piru. Pictured above are representatives of the Boys and Girls Club, accepting the check. Photo courtesy Brian Wilson. 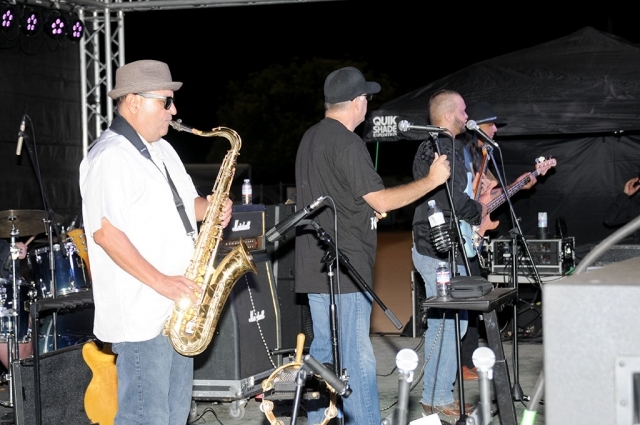 Pictured (l-r) are John, Bruce and Jim jamming in front of Roan Mills Bakery last Friday night. Photo courtesy Katrionna Furness. 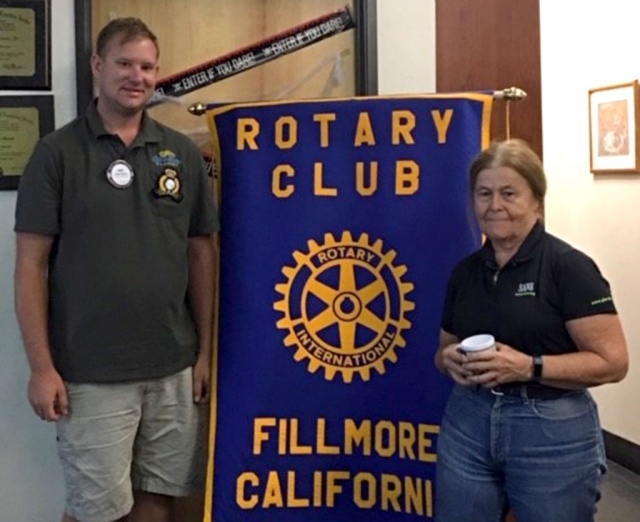 Rotary President Andy Klittich, Nancy Schram, Director of the Ventura County Library and Katharine McDowell, new Fillmore Library supervisor who discussed the expansion of our current small library. The plan for the expansion project is for a 2,220 sq. ft. addition which will include two study rooms, a community meeting room, a reading lounge, updated technology, two new ADA compliant restrooms, and will have a more positive impact on the community. They are now working on much needed funding for this project and hope to begin the project in 2020. Photo courtesy Martha Richardson. 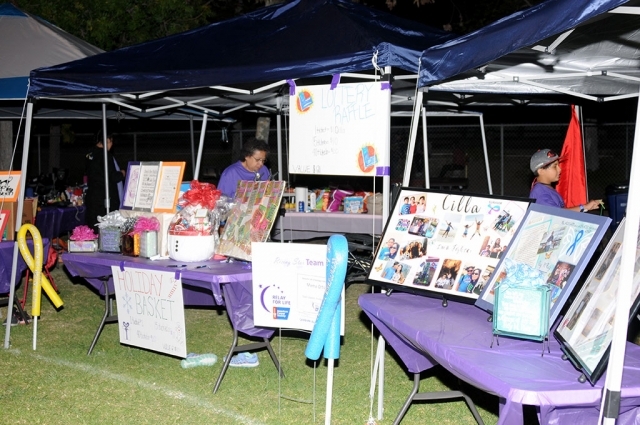 The Heritage Valley, which includes Santa Paula Fillmore & Piru, held their Relay for Life event September 22nd – 23rd, 2018 from 9:00am to 9:00am at Shields Park in Fillmore. 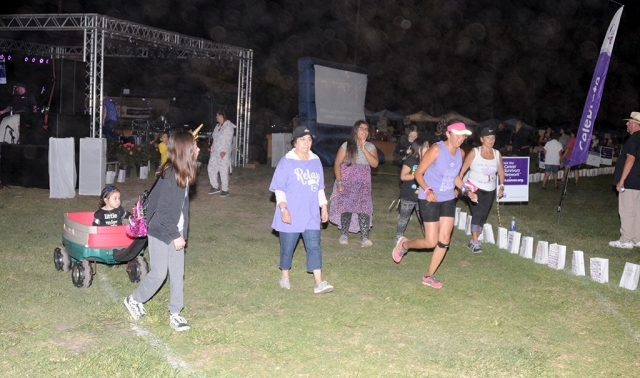 Opening Ceremonies were held at 9am on September 22nd and Survivor Lap to followed, along with Food vendors. 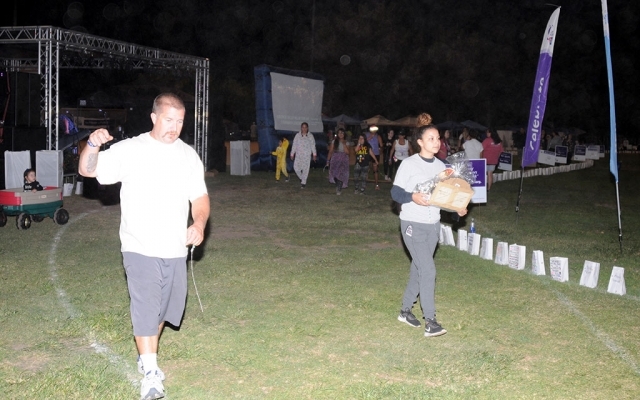 Luminaria / Remembrance Ceremony was held at 7:30pm – 9:30pm on September 22nd. Troop 406 conducted a formal flag retirement ceremony in honor of 9/11. Photo and story by Brett Chandler. Pictured (l-r) is Martha Gentry, Executive Director Fillmore Historical Museum, receiving a $1,000 check from Leslie Klinchuch and Natasha Molla, Project Managers of Chevron Corporation. 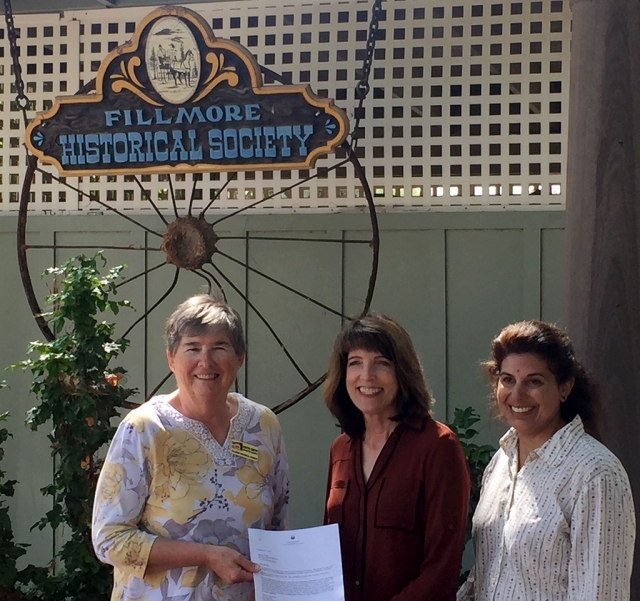 On September 11, 2018, Leslie Klinchuch and Natasha Molla of Chevron Corporation presented a check for $1,000 to Martha Gentry, Executive Director of the Fillmore Historical Museum, to be used for museum programs and outreach. During the cleanup of the former Fillmore Refinery site, the museum has received a series of grants from Chevron for programs as well as donations of Crepe Myrtle trees for the beautification of the museum site. The museum was able to help Chevron with historical research on the operations and infrastructure of the site. The location of the photo shows a 100 year old wagon wheel which was found at the site and donated by Chevron Corp. to the museum. Currently the museum has a series of photos and story boards on display in the museum which show some of the history of the refinery site and history of oil exploration in the Fillmore mountains. The museum is located at 340 Main Street and is open Tuesday, Wednesday, and Friday from 9 a.m. to noon and from 1 p.m. until 4 p.m.; Thursday from 1 p.m. to 4 p.m. and Saturday from 10 a.m. to 3 p.m.
Pictured is President Andy Klittich with Rotary’s two new inductees, Lisa Cook and Fillmore Chief Eric Tennessen. Photo Courtesy Martha Richardson. 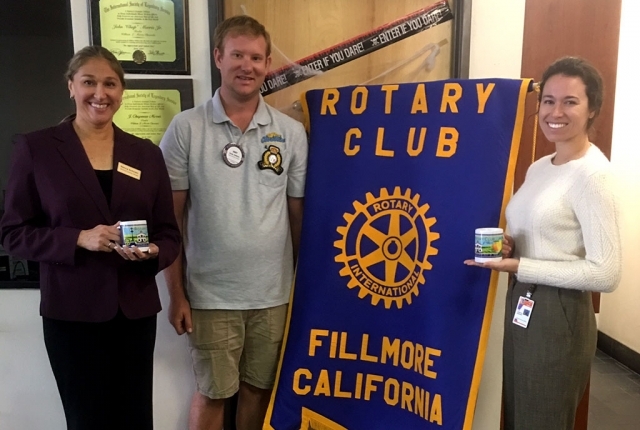 Pictured is President Andy Klittich with Fillmore's new Parks and Recreation Coordinators Krista Martinez and Sandra Edwards. Photo Courtesy Martha Richardson. 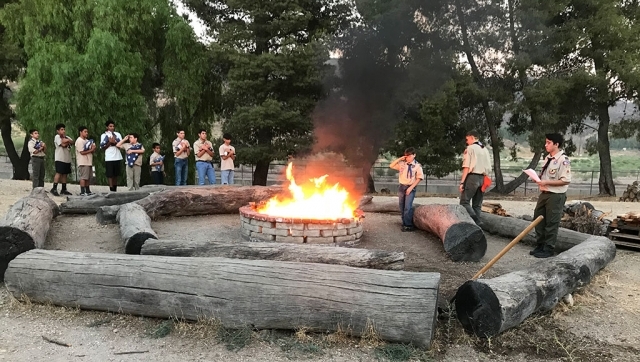 Cub Pack 3400 is organizing for the coming year with meetings every Wednesday evening at 6:30pm at the Scout House on 128 Sespe Avenue in Fillmore. Boys and girls kindergarten - 5th grade are invited to join. The cost for insurance and badges is $25 for a full year of fun and entertainment as well as learning about nature, camping and crafts. Cubmaster Rudolfo Osario will be assisted by Steve McKeown. The new Scouting rules now allow girls to be a part of the scouting organization along with the boys. Girls who wish to join will be included in regular Dens until there are 4 or 5 and then they will form a separate Den just for the girls. Dens for both boys and girls will be part of the Cub Pack 3400 this year. Cubs will now be a family activity for everyone. Parents and children interested in Scouting should attend a meeting for more information and join for 9 months of fun. 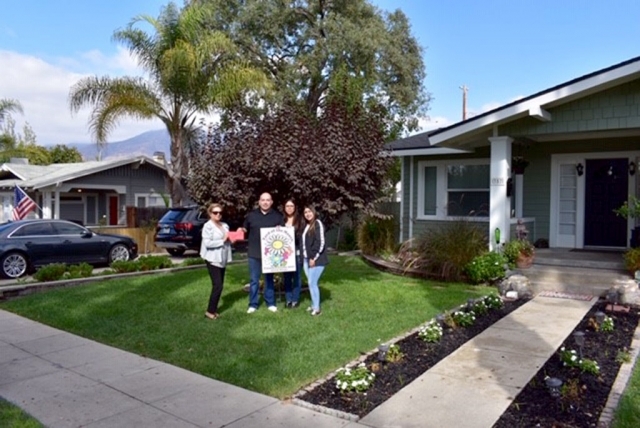 The Little Free Library will soon be opening their first location in Fillmore when Marie Wren completes the installation of a small box on a post in her front yard. The grand opening will be announced later so watch for the date. The Little Free Library is a non-profit 50l C 3 organized in Wisconsin several years ago and now has over 75,000 locations throughout the world. Each little box holds books to take to read and keep or return when you want to share. 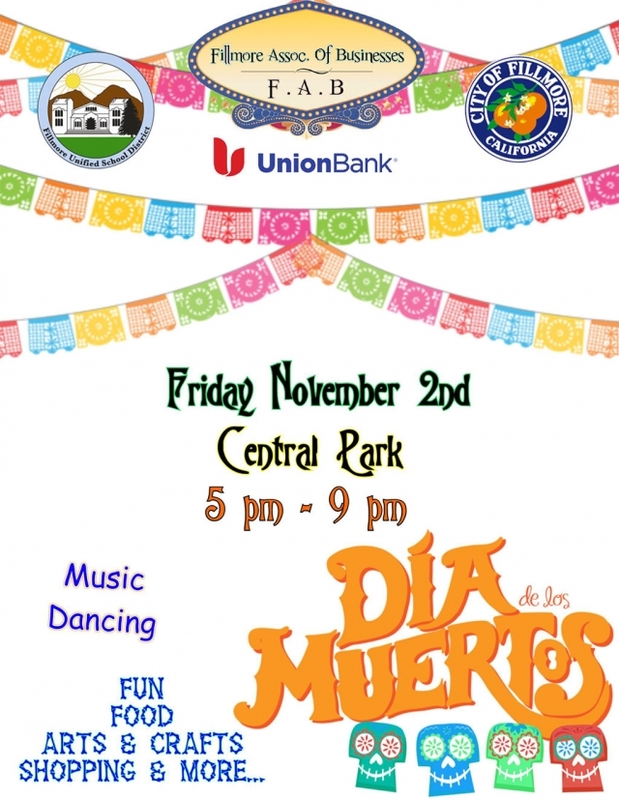 There is no cost and no “checking out.” Both children and adults are invited to participate. 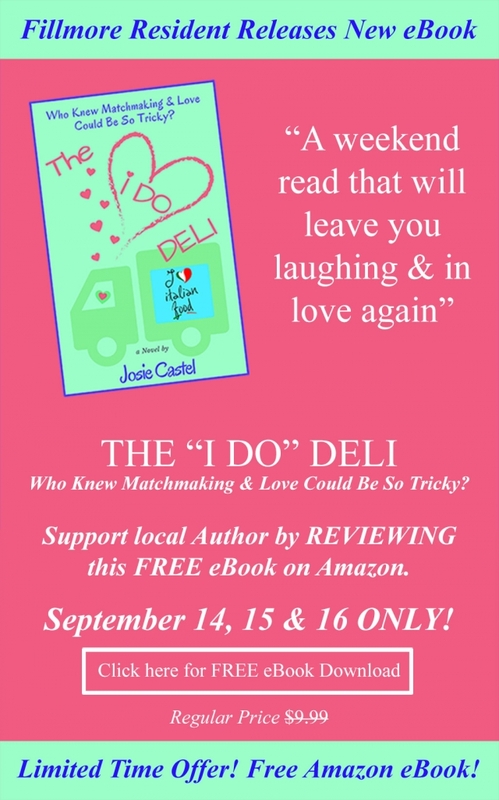 The motto is “Take a Book—Share a Book.” The books are always free. 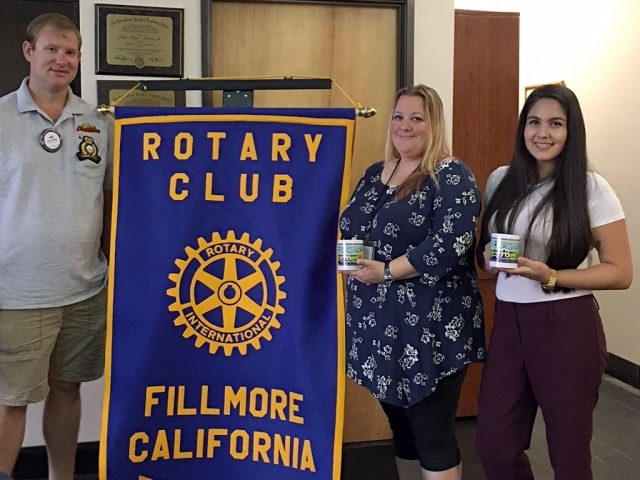 The mission is to inspire a love of reading, build community and spark creativity by fostering neighborhood book exchanges around the world, and Fillmore will soon be a part of it. Anyone wishing to share outgrown children books or your own favorite is invited to call Marie (524-4044) who will arrange to pick up your box of books, or you may leave them at her front door at 239 Sierra Vista to be put into the “library” when it opens. Everyone enjoys sharing an interesting story or non fiction. 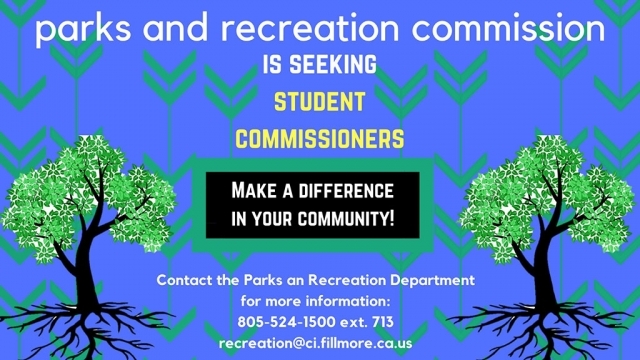 If you wish to join this new Fillmore activity you may learn more at littlefreelibrary.org or call 715-690-2488. On Sept. 28, the Future VC Leaders’ Summit will convene college students at the Ventura County Community Foundation (VCCF) to learn how transportation, housing, economic and urban planning issues impact the local community. Students will have an opportunity to speak directly to civic leaders and influence policy and planning decisions. 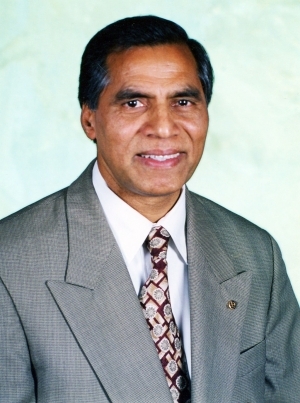 The Summit is sponsored by the Ventura County Transportation Commission (VCTC), the Ventura County Economic Development Association (VCEDA) and the region’s major colleges and universities. 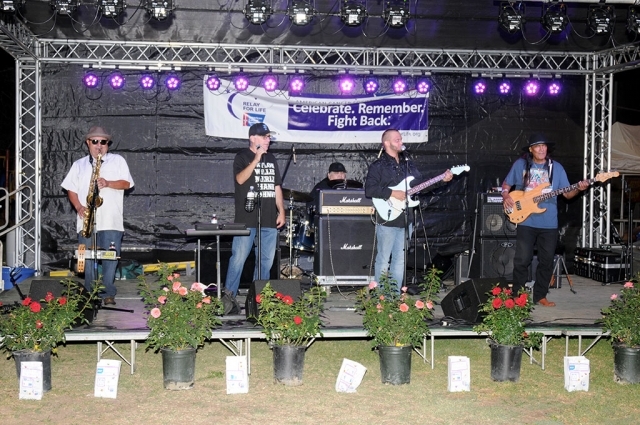 The event will take place from 9 a.m.-12 p.m. on Friday, Sept. 28 in the VCCF conference room at 4001 Mission Oaks Blvd., Camarillo, Calif. 93012. It is free to students enrolled at Ventura County colleges and universities and includes breakfast and transportation from campus, however advance registration is required. Students can register for the Summit at www.futurevcleaders.eventbrite.com and learn more at www.goventura.org/summit. The Summit program will feature a keynote address by Pete Peterson, Dean of the Pepperdine University School of Public Policy; a lively panel discussion with local experts in the fields of transportation, economics and urban planning; and closing remarks by Erick Went, entrepreneur and Chief Technology Officer of Camarillo-based Matter Labs. The event will include opportunities for students to interact with the speakers and network with their peers. The Ventura County Transportation Commission is the regional transportation planning agency committed to keeping Ventura County moving. Program information is available at www.goventura.org. The Ventura County Transportation Commission (VCTC) has launched a new page on its website that allows people to order bus passes online and have them delivered by mail to a physical address of their choosing. The online sales portal is the latest feature to be added to the VCTC’s recently redesigned website. The pass sales portal, powered by Shopify, allows riders to purchase VCTC 10-Ride Tickets or 31-Day Passes. The 10-Ride Ticket gives riders a discount of 10% per ride. The 31-Day Pass offer unlimited rides for 31 consecutive days starting from the first of day of use. Passes will arrive in the mail at the address provided by the rider. 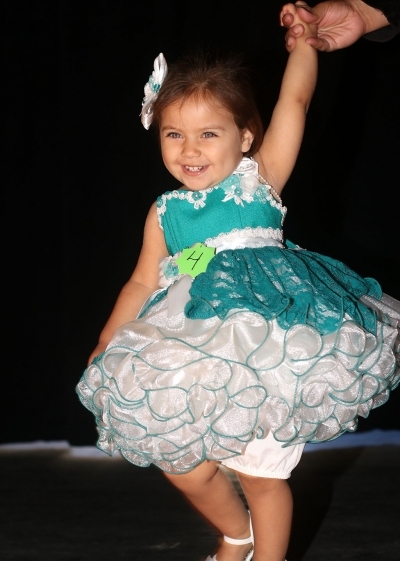 In-person pass sales remain available at seven locations throughout Ventura County. Passes can also be purchased over the phone by calling (800) 438-1112. For more information, visit www.goventura.org/buy-passes/. Later this fall, VCTC will unveil an additional feature for transit customers – an “app” for real-time transit information for all Ventura County bus services. Can you identify this photo? If so, please click on it and add any information in the comments section provided at the bottom. We will ad your comments to the picture's caption. To see all photographs that need identification, please see the History Section.